Timeshare with Dom Pedro Portobelo provides you with the perfect spot in Vilamoura, close to all the entertainment whilst giving you a wonderful place to sit back and relax in the Mediterranean sunshine. You are only a stone’s throw from the cosmopolitan pleasures of Vilamoura, such as lively bars, nightclubs, restaurants, traditional shops, and the casinos. Dom Pedro itself offers an outdoor swimming pool, games room for the kids, a golf desk for bookings outings, and easy-to-access public transport. There is a delectable restaurant were you can sample the traditional Portuguese cuisine, and you will love the ornate décor and pleasurable atmosphere. 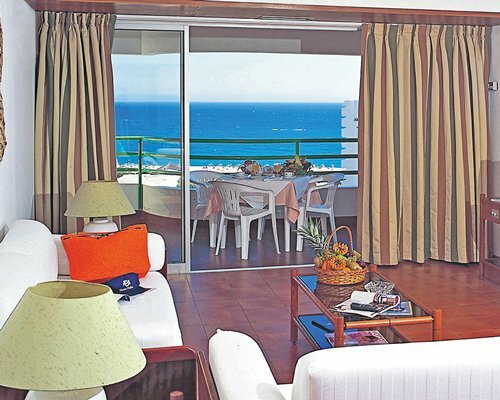 Timeshare owners can also use the facilities at the Dom Pedro Marina Hotel and Dom Pedro Golf Hotel. The Dom Pedro Portobelo Resort prides itself on offering superior accommodations that give you both luxury and privacy. This is your home away from home, whether you are a romantic couple, large family, or group of friends. All the apartments come complete with private balconies to enjoy the panoramic ocean views. There are kitchens for your convenience, spacious living and dining areas, and comfortable bedrooms. You can choose a studio or 1- or 2-bedroom apartment, and relax in the air-conditioned interior while watching your satellite TV. Everything speaks to luxury, and it is just for you.